AR blockchain platform developer Scanetchain has announced the release of their new dapp 'Inxight' on April 10th. 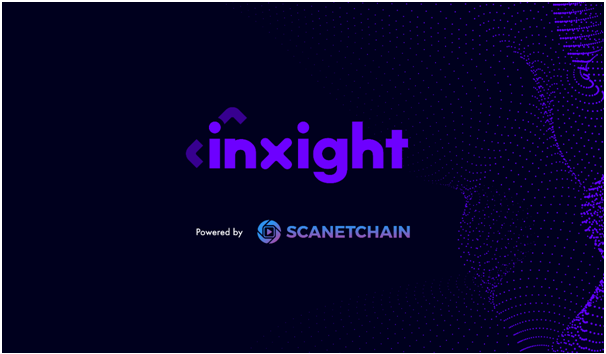 Inxight is the new brand name for the AR blockchain platform and dapp developed by Scanetchain. The slogan of the service is "You have the Question, we have the Inxight". Inxight is an open platform that combines search engine, advertisements, and e-commerce platforms. Through the use of AR technology, Inxight digitally identifies all products, brands, and images around us both online and offline. By assigning a scannable marker to each object, users can scan physical objects with their smartphone camera, without additional equipment or requirements. By scanning products, users can instantly access the related AR information, websites, apps or any online services. Inxight also provides a blockchain based cryptocurrency reward that can be utilized for payment or discount point for other companies’ services or products. Inxight's POA (Proof of activity) pilot program was also unveiled for users. The POA program is one of the key features of the Inxight AR blockchain platform. It allows users to increase their loyalty by leveraging Inxight, and it motivates them to participate and contribute to the entire platform. Inxight’s new POA system is expected to increase the number of real users and generate increased usage of the dapp ecosystem. A number of new partnerships were revealed. Of these new partnerships, some are leaders in their respective industries, such as Hancom and Wine Nara, which are very well-known to the general public. These new partnerships create an opportunity to create greater benefits and possibilities when using the Inxight service in daily life across many industries. "Through the development and operation of the past year, we have been continuously made efforts to deliver the real value of AR and blockchain technology to provide everyday value in the daily lives of users, and we will continue to develop and improve the service as we move forward," David Ham CEO of Scanetchain, said.